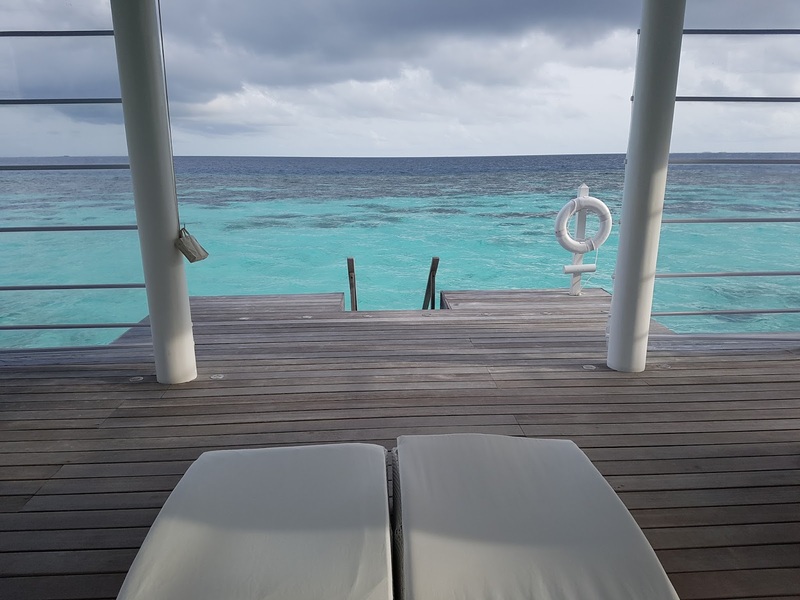 Introduction: Boasting elegant beach bungalows and beautiful over water villas, Diamonds Athuruga Beach & Water Villas is a luxury paradise located at just a 20 minutes scenic flight away from Malé International Airport. The wellness centre offers a variety of treatments and Ayurvedic massages and a well equipped diving centre provides enthusiasts with the very best underwater experiences. 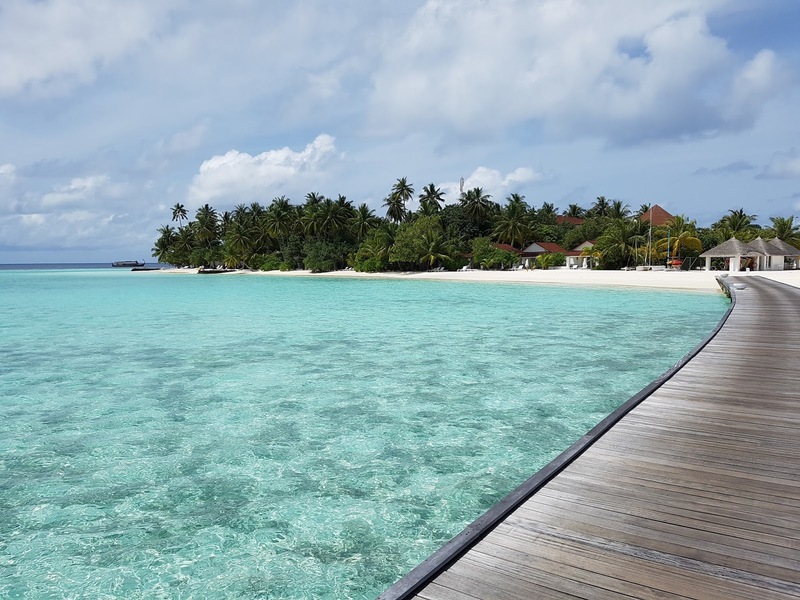 Athuruga is the ideal resort to discover the Maldives from a centre of excellence, where attention to detail will make your journey unforgettable. 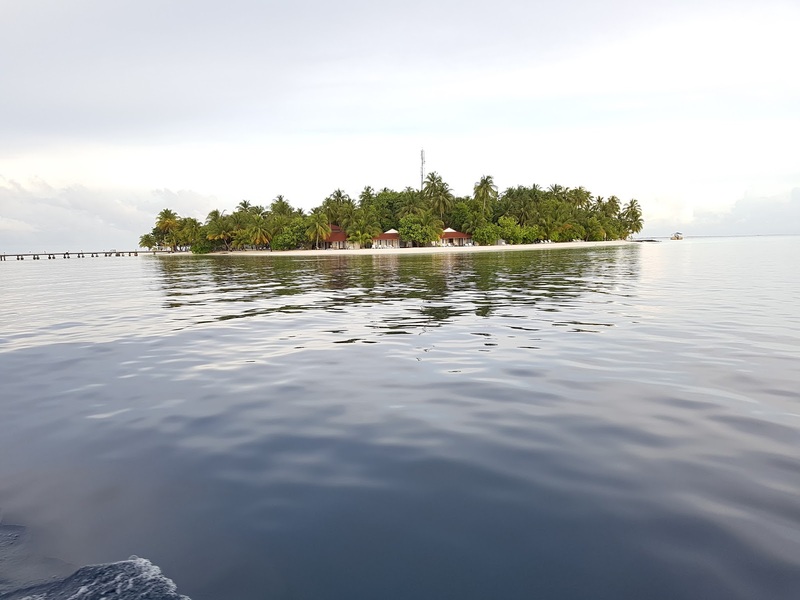 Let yourself be charmed by one of the most unique, enchanting well known coral reefs in the Maldives and discover its secrets thanks to the marine biologists on the island. At Diamonds Athuruga the uniqueness of our all inclusive formula allows our guests to enjoy every second of their holiday in total relaxation. Above information is how the hotel presents itself on their website. Below is my experience based on a two-night stay at the property. My Arrival Experience: Warm welcome from the staff before escorted me to the room. 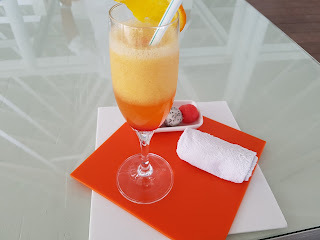 What I loved: The design, and that the food is better than most resorts I’ve stayed in the Maldives. What About the Food: Surprisingly good food at the water villas restaurant. 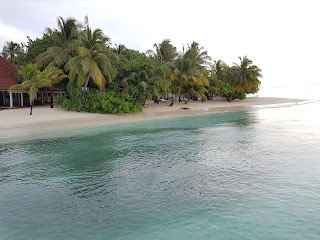 Thudufushi is a bit better, but I enjoyed their la carte options a lot. What About the Service: Great staff in all areas of the hotel. Nicola is top professional. Ask for him if you plan to stay here. 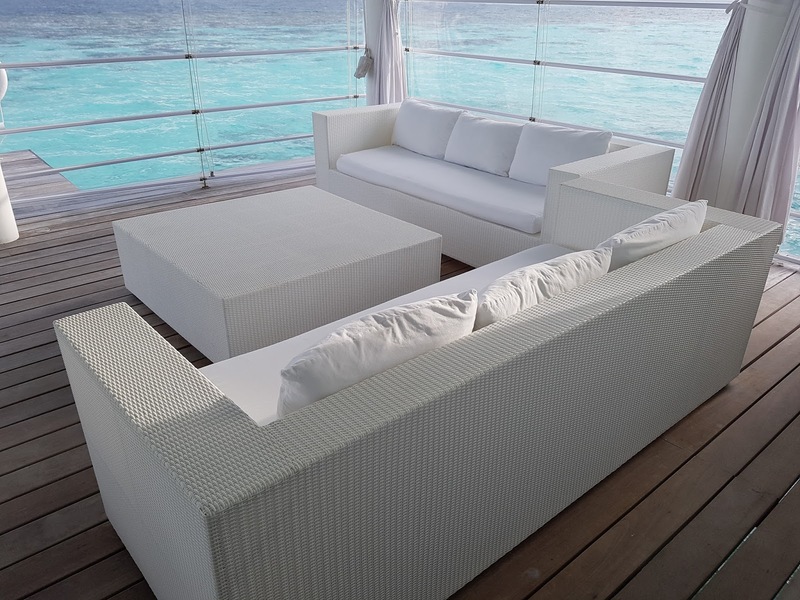 What About the Rooms: Beautiful rooms with a minimalistic design. 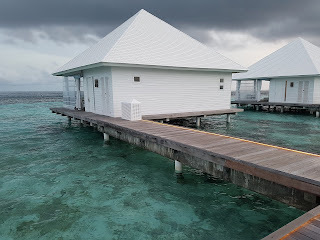 I stayed in a water villa with comfortable bed, Apple Computer, rain shower and a large outdoor area. Two things I would recommend to replace. 1) The phone. It’s bad and should have a speaker option. 2) The bathroom amenities. They are bad and wouldn’t use them for showering. They are planning to implement a new product soon. 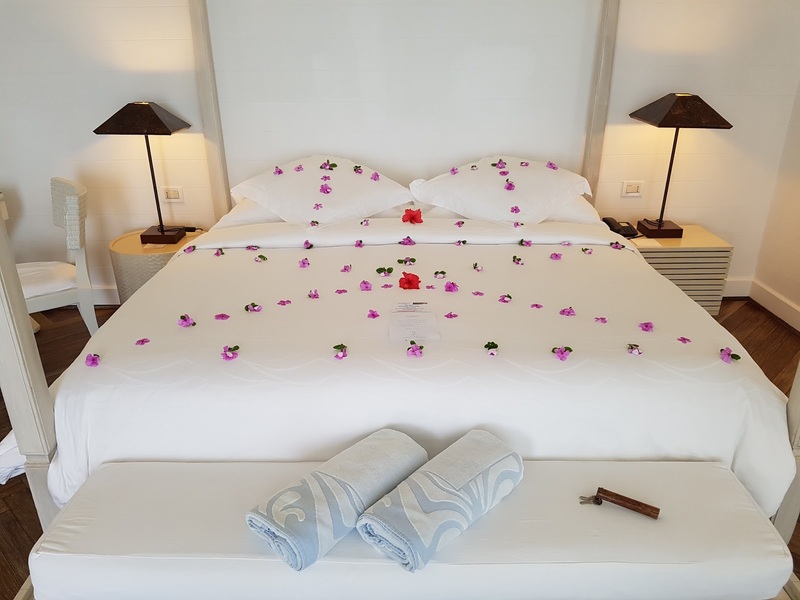 The rooms are overall almost identical to their Thudufushi property. Complimentary Internet: Yes, but very slow. Probably the slowest of any resort I have stayed in the Maldives. There was no internet at all for the last many hours of my stay. The President of the company has informed me they are about to install fibre internet at the resort, and it would be great to stay in future for an improved experience. My Overall Impression: Great+ experience. A wonderful resort in many ways. As they are aware of their internet problem and planning to fix it soon, I am happy to rank it Great+ for their beautiful rooms, great service and surprisingly good food.